Several customers have inquired about the batting we have in stock and our prices. Here is our current stock and price list. We think you will find our prices attractive. We just want to make it easy for you to complete those special projects. Prices are per meter or per package as applicable. And, of course, if there is something special you need, just get in touch and we will try to get it for you. 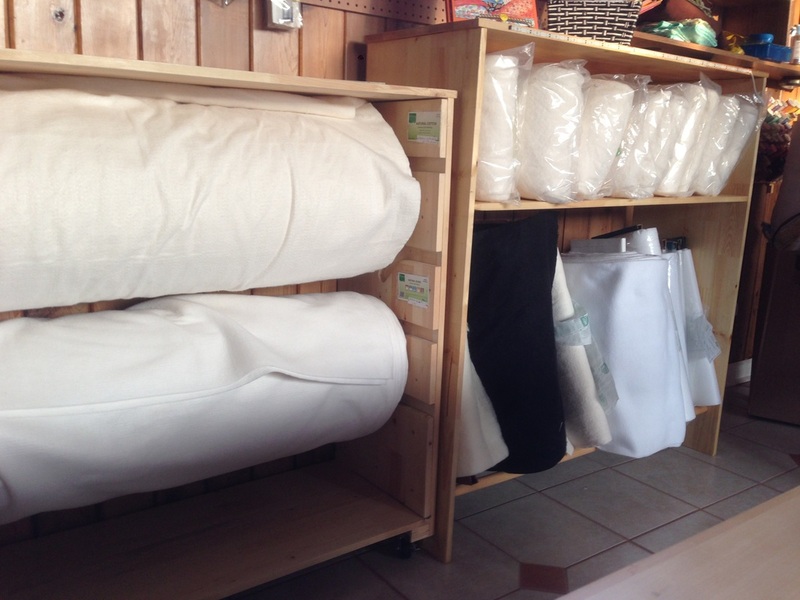 Pellon - Fusible Fleece - 22" x 36"
We did not intend to carry a lot of fabric. But then, Helen IS a quilter. We now have over 60 SKUs in our fabric inventory. We have a limited quantity of these gorgeous 100% cotton Australian Aboriginal prints. We continue to offer this at our February special price of $15.99 per meter. This is some of our selection of other 100% cotton fabrics - 44/45" wide. We like to use flanelette for backing on baby and children's quilts. We also have some 108" wide fabrics that are great for backing.